Plant-focused website has a growing user base among universities, botanical gardens and arboreta. "My Tags" puts high-quality, interactive labels just a few clicks away. My Plants Map makes plant identification and management easy. 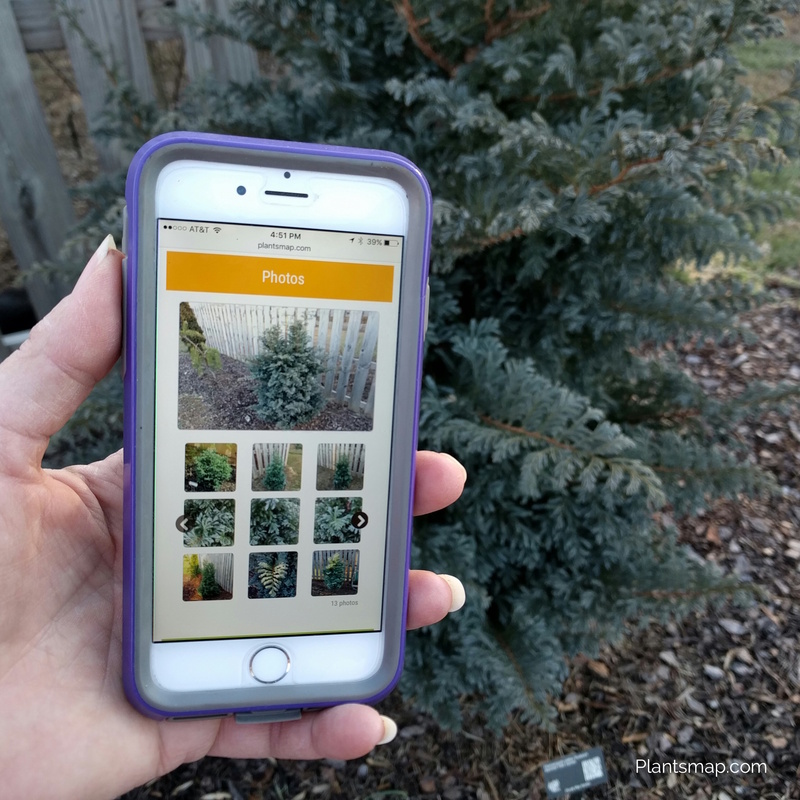 Just in time for the 2016 growing season, Plantsmap.com has launched My Tags, an innovative tool that makes it easier than ever to order interactive plant labels customized to your landscape directly from your own My Plants Map digital plant library. The process of ordering or making labels is typically an arduous task, involving either a time-consuming, data-intense spreadsheet or manually writing plant labels that wear out quickly. Plantsmap.com signs and tags have become a popular choice for public gardens, universities, arboreta and plant collectors due to their affordable pricing, attractive appearance and, most of all, their interactive features. “We continue to hear that our tags make an impression, whether they’re in a home garden, on a university campus or in a botanical garden,” said Bill Blevins. A distinctive difference to these tags is the QR code that allows anyone with a mobile device to instantly access that specific plant’s webpage on Plantsmap.com that connects with the owner’s profile. The QR code serves two functions: allowing visitors to experience the plant’s full growing story and the owner of the plant quick access to update their plant’s webpage with photos, plant details, notes and more. “Our tagline is, ‘Connecting People With Plants,’ and the signs and tags are just the beginning of that experience on Plantsmap.com,” said co-founder Tracy Blevins. 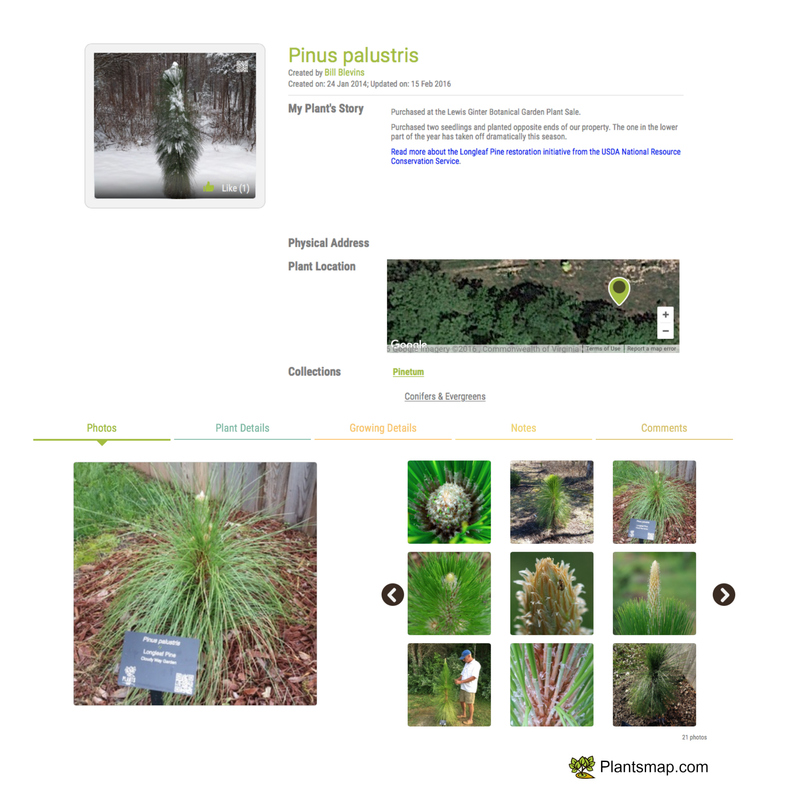 Plantsmap.com is a rapidly growing network of digital plant libraries that allows users to access information about their plants from a smartphone, tablet or computer and easily share their growing experiences with others. Connecting People With Plants: Plantsmap.com is a mobile-friendly website community that hosts digital plant journals and botanical collections with photos, growing details, notes and maps. Founded in Spotsylvania, Va., in 2014, Plantsmap.com currently has more than 50,000 plant stories contributed by more than 1,000 individual and organizational users. PlantsMap.com makes it easy to manage your plants and order garden labels.PlantsMap.com makes it easy to manage your plants and order garden labels. Your photos tell your plant's story on PlantsMap.com.Your photos tell your plant's story on PlantsMap.com.